Set up a donation on your Twitch account is easy! It only takes three steps and you are all set and ready to get some income from your audience! One of the key things that people ask is how do I earn from live stream. If you are live streaming on Twitch, or planning to, donations are the first direct source of revenue from your audience. I like to think of it as a tip more than a donation. When your audience like what you are doing, they drop you a tip/donation to encourage and thank you. Below are the three steps on setting up your Donation on your Twitch channel so that you can start monetizing as you live stream. If you do not have a Paypal account, it is time to register for one now. It is free! 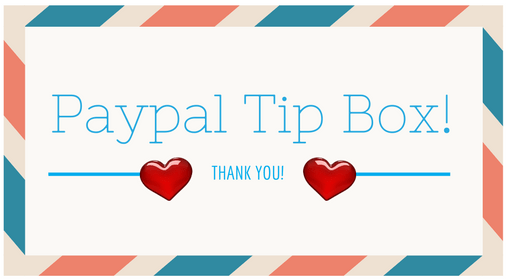 I love the new function of PayPal.Me link that allows your audience to decide any amount they want to give to you. If you are completely new to PayPal.Me I suggest you go to their FAQs to find out more. Go to “Tools” in the top menu and click on “Request payments”. Then click on “Get you PayPal.Me link”. You can customize your link, depending on the availability of the name you chose. I have chosen the name SOOSOIOLLP as it is the name of my company. So PayPal.Me/SOOSOIOLLP is the link I will use to set up my Twitch Donation. You can choose to download a Paypal Button from your Paypal account or even through Google. Or you can choose to create your own donation button. For me, I chose to create a simple customized one like the one below. Select “Info” which is next to “Posts”. Add a panel to the “Info” for your Donation setup by clicking on the big “+” sign. Fill in the fields in the panel. Add the button you created in Step 2. Fill up the field “Image Links To” with your PayPal.Me link. I choose not to indicate any amount so that the audience can choose how much they like to give to me. Give it a short and clear description and you are good to go! All Set & Ready to Go! Here’s how mine looks like. So have fun doing this! If you are in living in Singapore, do check out some of the workshops we have with eSports Academy. The details are listed in our Events Page.